Healthcare.gov has made available health and dental plan information for states where the federal government is managing the new health insurance marketplaces. 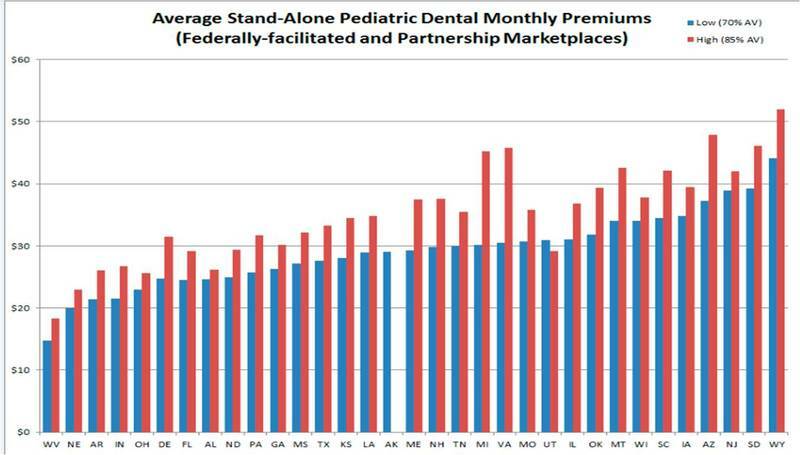 CDHP averaged the premium rates for the low and high option stand-alone pediatric dental products in each state, revealing that premiums vary widely from state to state. *Note: Data on high-cost plans in Alaska was not available. Health plans in some of these marketplaces may include pediatric dental coverage as part of the medical insurance product but that cost data is not yet readily available. Stay tuned for further analysis from CDHP as ACA enrollment continues, including comparisons of rates in the state-based marketplaces.